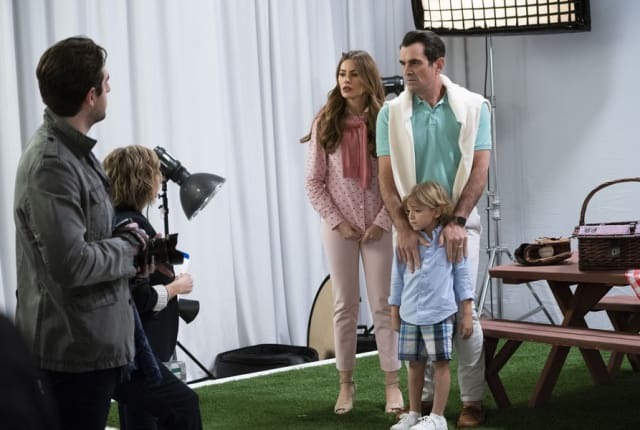 Watch Modern Family Season 10 Episode 13 online via TV Fanatic with over 4 options to watch the Modern Family S10E13 full episode. Affiliates with free and paid streaming include Amazon, iTunes, Vudu, and Hulu Plus. On Modern Family Season 10 Episode 13, Cam contends with a bully at the school while Jay has a little technical trouble during his video conference.